The over-saturation of comic book adaptations has not really done anything for me. I’m a comic book guy. For some reason, the whole mega-blockbuster Marvel movie thing got away from me. I’m not quite sure why. The actors they get are fantastic, the effects are visually stunning, the sound is incredible – there are so many reasons why these things make hundreds of millions of dollars. I just don’t seem to care about them. When it comes down to it, it basically has more to do with the fact that I like a good series better than a movie. These days I rarely sit down and watch a movie, but I’ll binge watch an amazing series. They just have way more time to tell a better story. 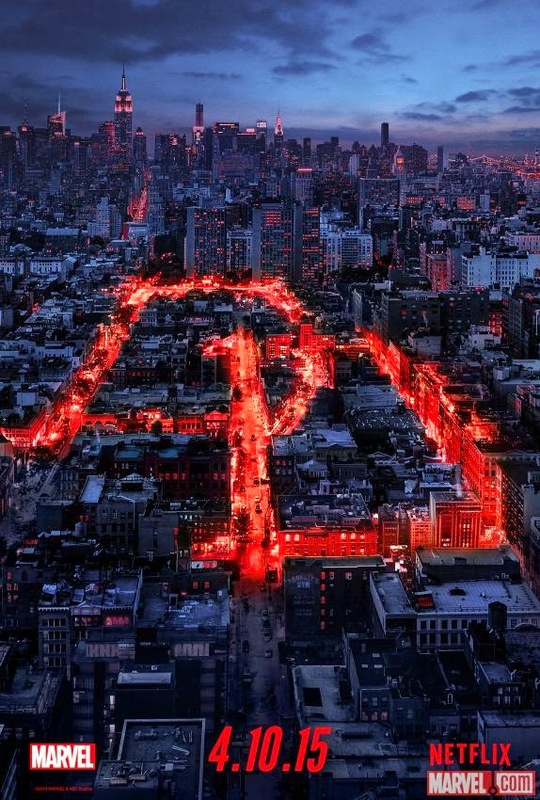 April 10, 2015 will be the date that Daredevil comes to Netflix in a 13 one-hour episode series. “Marvel’s Daredevil” will follow the journey of Matt Murdock who became blind as a kid but had extraordinary senses, fighting injustice during the day as a lawyer and at night fighting crime in Hell’s Kitchen as Daredevil. The show will star Charlie Cox as Dare Devil, Deborah Ann Woll as Karen Page, Elden Henson as Foggy Nelson, with Rosario Dawson as Claire Temple and Vincent D’Onofrio as Wilson Fisk. all hope that we would ever see “the man with no fear” ever again. Getting to see this in a 13 hour long series is going to be awesome and will hopefully breathe new life into one of Marvel’s most fascinating characters. From the description of this, it sounds like its right up the ally of the Wachowskis’. They missed completely on a few projects (especially “Speed Racer”) but if they can capture the feel that “The Matrix” had, this show could be awesome.